The Best.Gift.Ever changes a child’s life in Canada and around the world! Choosing a gift from the Best.Gift.Ever catalogue makes a BIG impact on the lives of children in Canada and around the world! Here are just some of the ways these gifts have given hope to children and families this past year. Thanks to the gift of basket weaving, Linda can take her business to the next level. A mother of three, Linda always had an entrepreneurial spirit. But the income she earned from farming and part-time dressmaking wasn’t enough to support her family. 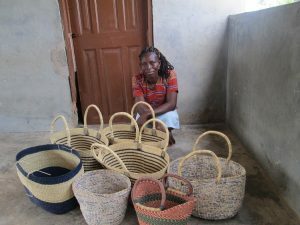 Because of kind donors who bought a Best.Gift.Ever, Linda received basket weaving training and joined a basket weaving group. Now, she gets more income from her basket sales than she would earn otherwise. Her children eat well throughout the year, go to school with all the supplies they need, and their health care needs are met. Investing in teacher training will give children a quality education that will set them up for future success. For the moms and dads of very young children in this Bolivian town, they’ve found a special person in Andrea, their Early Childhood Educator. Andrea received teacher training, thanks to donor support, where she learned how to best support her students and ensure their first five years are a success. Sheep are a gift to farmers that keeps on giving. 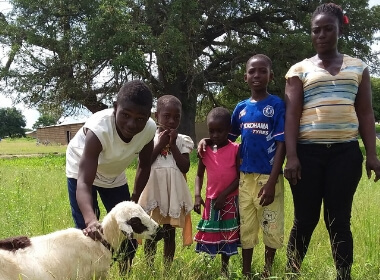 Fati completely had her life turned around after receiving sheep and agricultural training from a generous donor who bought a Best.Gift.Ever. 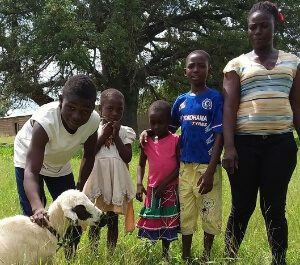 To help other families in her community, Fati is giving three sheep to neighbours so they can improve their livelihoods as well. With this gift, farmers are given everything they need to increase fish production, generate income, and provide a significant source of nutrition for their community. 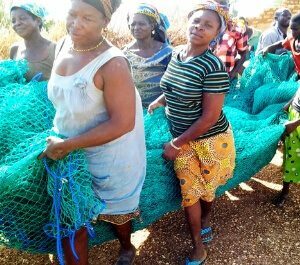 With the gift of a fish farming kit, farmers like Prudence are able to thrive in a livelihood that not only provides enough income for the family but allows for leadership and pride in oneself. Before joining an aquaculture group, Prudence and her husband ran a small farm with very little yields, often having to skip meals to get by. But thanks to generous Canadians, she joined a group of women aquaculturists to learn the lucrative skill. The fish farming has given Prudence’s income a significant boost, and now she can comfortably provide the basics for her family. The smoked fish from her haul has provided much needed protein for her growing family – and it’s delicious too! Help grow an orchard in an Indigenous community, and support families to reclaim their culture and their traditions around food. Indigenous orchards are the Best.Gift.Ever for Indigenous communities in Canada to plant their very own food forests! 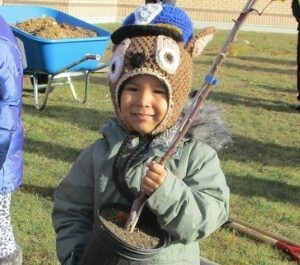 Muskeg Lake Cree Nation was able to plant their own food forest, thanks to kind donors, using an innovative permaculture design to provide sustainable access to healthy food in the community while regaining Indigenous food sovereignty. The community planted apple trees, berry bushes, and a variety of complementary trees to attract birds and pollinators in their orchard – all part of the first phase of the design. School meals motivate children to attend school and help them concentrate and learn while there. Buying the Best.Gift.Ever of school nutrition, support for school nutrition programs can help fill the gap for children like Denis. Living with his uncle and six cousins, Denis has a large family. His uncle took Denis in when his own parents could no longer care for him. Despite working hard on his farm every day, Denis’s uncle still struggles to feed all of the children under his care. After he joined the school nutrition program, Denis can count on healthy meals at school even on days when his uncle struggles. 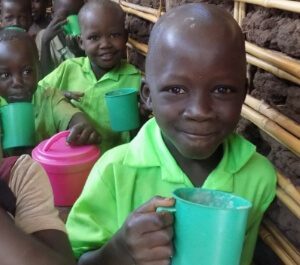 “When I eat hot meals at school, I feel good and satisfied” said Denis.